We had that wonderful debate last week about the size of games. While the saying goes that it’s not the size that counts but how you use it, we all know that size sort of does matter. We want games that will keep us occupied for a long time, either thanks to awesome replay value or due to an expansive and immersive experience to begin with. I don’t normally demand this from a demo, but it seems we’ll be getting that anyway. roughly measures 1,937 meters by 1,552, for a total area of 3,006,224, which translates into 3 square kilometers, or 1.16 square miles (even if about half of that seems not to be reachable). That is about 8% of Skyrim’s total map size of 37 square kilometers. 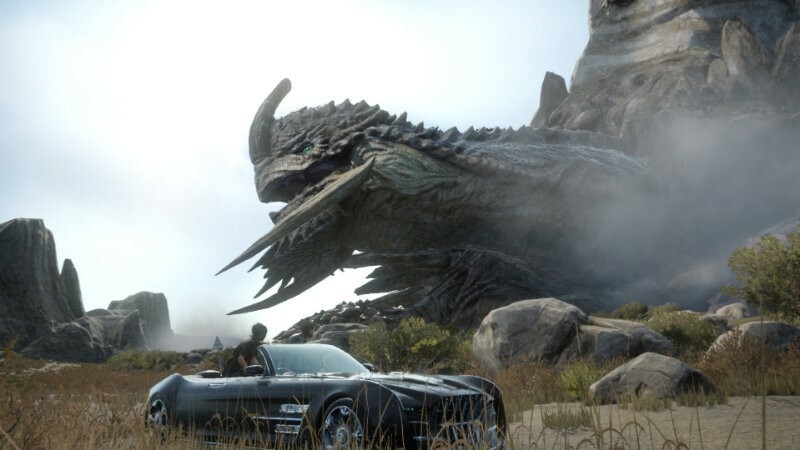 Game director Tabata-san has said that the map of the full game will be ten to twenty time larger than that of the demo. This means that depending which end of the spectrum the game’s map actually ends up, we could be looking at a map size that’s anywhere from a little smaller than Skyrim to a bit less than twice it’s size. That puts the game roughly in the same scale as what we’ve seen in a bunch of other new open world games – no wonder we need a car to get around in this one. Regardless of the game’s final map size, it’s still quite generous to give this big a slice of the game for a demo. After playing through it thoroughly, we should have a solid idea of combat, exploration, gameplay and even that whole camping and leveling system. I know I’m excited for the demo, and for Type-0 HD. So much Final Fantasy all at once; it will be a wonderful change for the new generation consoles that have certainly been lacking in that department. Next article Steven Spielberg to direct INDIANA JONES again?